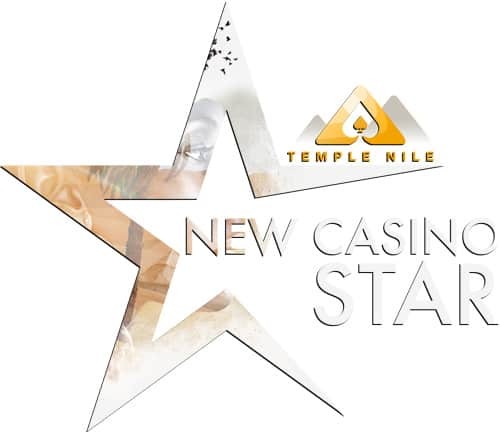 Temple Nile Casino | An ancient egypt adventure with great looks! Explore the world of Temple Nile casino and all of its treasures that lies beneath! A Temple Bazaar and big bonuses are waiting for new registered players! Temple Nile is brought to you by Ivy. A White Hat Gaming Limited product that takes you down to ancient Egypt. A theme we’ve seen before, but never to this extent. We surely think that Ivy once again has given its players an online casino that really stands out. A nice game offer as always, and some fine bonuses that come along with it. Also, the Temple Bazaar stands out – a place where you can exchange your tokens for rewards. A VIP club that gives something extra with its three levels plus the invitational-only premium lounge. This is a brand new casino for 2019 that we are sure we will see a lot about. Continue reading our Temple Nile casino review to find out even more! It is clearly a beautiful looking site that we first lay our eyes on. Graphics of sphinxes, pyramids and other classical elements run through the whole site. In the top-right corner, we found the registration button. A quick sign-up process later and we are ready to check out what more this casino has to offer. The welcome bonus comes with both a deposit bonus as well as extra spins on Gonzo’s Quest and Book of Dead. At least at the time of writing this review. Be aware of the terms and conditions that the bonus comes with. After our deposit, we went to check out the different games. As you can quite easily see, there won’t be a problem finding games at Temple Nile casino. And it is also easy to find the kind of games you want. Sort them by provider, popular games, live dealer or any of the other categories. Among the live dealer games, which are to be found under a specific page you can find in the main menu, there are some really interesting ones. Dream Catcher, Football Studio and Dragon Tiger to name a few. Surely, you can also find the classic baccarat and poker games as well. What really makes this casino stand out must be the Temple Bazaar. A store where you can turn your tokens into gifts. The Temple Tokens are to be collected by gambling. As easy as that actually. The more you play, the more tokens. By signing up and making your first deposit, you will be awarded 300 tokens straight away. Some of the rewards you can buy with the tokens are iPhones, a Tag Heuer watch and weekend trips. You can also, of course, buy extra spins on different slot machines. Read more about the Temple Bazaar on the website. Regarding the VIP club, it’s a more “ordinary” loyalty program. Depending on how much you play, you can reach three different levels; Silver, Gold and Platinum. There is also a special Premium Lounge that you can become a member of by invitation only. All-in-all, Temple Nile casino is a great brand that we enjoyed a lot and will be back to pretty soon again. Everything looks really fresh and the graphics are great. If you can’t find some nice games here, you won’t be able to find it anywhere. Go and explore ancient egypt and meet up with Cleopatra and the other guys now!